We often hear and talk about Great Lent as a special time in the life of the Church: it is the time of a longer prayer, restricting oneself in all spheres of life, the time of careful attention to one’s spiritual state. In order to spend Great Lent with God and His disciples and not to turn it into a month and a half of difficult and meaningless diet, “Pravmir” publishes 10 important rules. “Rejoice always, pray without ceasing, in everything give thanks” (1 Thessalonians 5:16-18), – the Apostle’s wise counsel is as relevant as ever in the Lenten days. 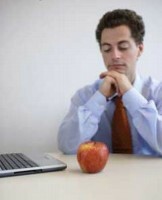 It is tempting to become despondent, “How am I going to live without delicious food! I cannot have any fun now! The services are so long!” – whereas there is no reason for despondency. Long services are fine examples of medieval spiritual poetry, philosophical reflections on the place of a human in eternity, a sense of unity with other worshipers, and communication with God Himself. More often than not, there is a reverse side of the Lenten despondency, “I cannot fast according to the canons. I skip services. I get distracted by earthly things”. It sounds unoriginal, but it is nonetheless true: remember that God needs a heart not a stomach and legs. He sees both a sincere desire to serve Him and infirmities in a human’s soul. It is this constant remembrance of God that will be our unceasing joy of Him. No, of course, there is no need for all of us to become Hesychasts during Lent, but we can try to become half-step closer to perfection. One should devote more time than usual to prayer. People should pay more attention during the service: sometimes one should bring liturgical books with them. The prayer rule should be fulfilled more carefully: one should turn off their computer half an hour early and read the evening prayers. It is a good idea toadd the prayer of St. Ephrem the Syrian to one’s prayer rule. Likewise, one should listen to or read the Psalter on the way. It is helpful to fight the numerous Lenten temptations with a prayer: to respond to one’s irritation, anger, and sadness with the short Jesus Prayer. Household chores, traffic jams, noises at work: even if we managed to organize our lives so that we eat only acceptable food, read the prayer rule entirely, and even pray throughout the day, we get terribly tired with all this fuss. Church comes to our aid here. Lent services are held every morning and evening in monasteries and many parish churches in large cities. One should come to at least a part of the service before or after work: it sets the mood that is completely different from the ambient reality mood. 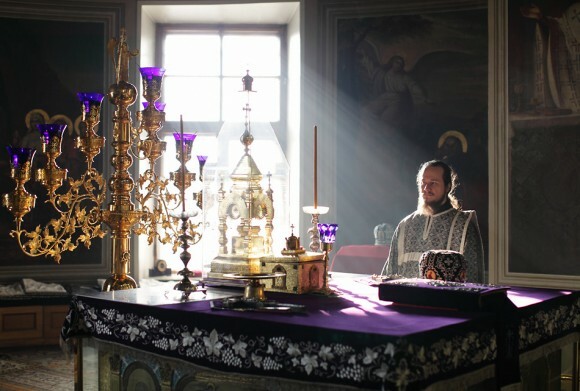 It is good to attend the Liturgy of the Presanctified Gifts at least once during Lent: by the way, in some churches it is conducted in the evenings (for example, in the Sretensky monastery it starts at 6 pm several times during Lent). It is well known that it is us who need the fast, not God. Great Lent consists of two parts: the forty day fast and the Holy Week. The former is the time of repentance, the latter is the time of purification, preparation for Pascha. It is for a reason that Church suggests the reading of the Canon of St. Andrew of Crete twice in the forty day fast. It is for a reason that every Lenten Saturday at the all-night vigil we hear the psalm of “The doors of repentance do Thou open unto me, O Giver of Live”. It is for a reason that Church calls for repentance three weeks before Lent: with the parable of the Pharisee and the Publican, the parable of the Prodigal Son, the reminder of the Last Judgement, and the expulsion of Adam from Paradise. It is precisely for repentance that we need the time of the forty day fast. If you are not going to repent, there is no use in fasting: it is a waste of health. Speaking of health. 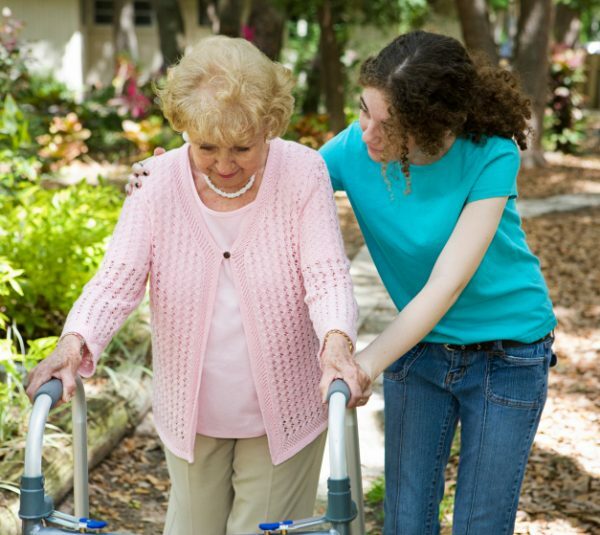 If there are health problems during Lent, one should immediately discuss the extent of abstinence with a spiritual father. Self-constituted fasting according to the canons or close to it is out of the question if there are problems with stomach or metabolism. In the current circumstances, even monasteries observe the dry fast in rare occasions: God will not condemn the working person, who is not in good health. In no way will stomach ulcer bring one closer to God, it may even significantly distance one from Him: the line between the sincere aspiration to obedience to the Church canons without sparing one’s stomach and the pride for one’s diligence is extremely thin. “When I keep fast, I am vain; when I hide my spiritual labors – I am vain over my piety”, – grieves St. John of the Ladder in his book, “The Ladder”. “Vanity by fasting” is dangerous by its obviousness and goes hand in hand with condemnation. Brother eats fish on the first week of Great Lent, while you are on bread and water? It is none of your business. He drinks milk, while you do not even add sugar to your tea? You do not know the peculiarities of his body function (by the way, in seminaries students are often given dairy products). He ate a sausage and went to take Communion the next day, while you started the Eucharistic fast before the all-night vigil? It is his business and that of the priest, who admitted him to the sacrament. “Vanity by not fasting” is a more subtle passion. Nowadays there is such a character as the Publican, who is proud that he is not a Pharisee. Another tendency arises here: the Pharisee does not eat vegetable oil, whereas I make a hundred bows to the ground at home before going to sleep! He does not drink any alcohol, whereas I repent every weekend! In fact, talk less about food. No matter how much this simple truth bores to death, Great Lent is only to the least extent a change in diet. Vegetarians never eat animal food: it neither brings them closer to God, nor distances them from Him, exactly in accordance with the words of the Apostle. The continuation of the famous quote, “but by every word that proceeds from the mouth of God”, – is ideal for the Lenten period, when special attention is paid to the reading of the Bible, the word of God. It is customary to read the entire Gospel during Lent. Moreover, the Old Testament is read daily in churches in this period. Instead of paying attention to the contents of other people’s plates, people should turn their attention to their neighbors in general. Concentration on one’s spiritual state should not turn into indifference to others. The fast should help the cultivation of both virtues: love for God and love for the neighbors. St. John Chrysostom called people to spend the money, saved on a fasting meal, on helping the poor. After having a side dish without a cutlet for lunch for several days one can buy gloves for a homeless, freezing outside, or an educational game for an orphanage. During Lent it is not necessary to stop communicating with people, who might need it: a pregnant friend, a sick neighbor, a lonely relative. Talking with them over a cup of tea is not entertainment, it is helping one’s neighbors. Good attitude towards neighbors sometimes turns out to be something unpleasant: flattering. In fact, there is usually no good attitude here: there is one’s weak character and dependence on someone else’s opinion. This passion escalates exactly during Great Lent. “Let’s meet in a café after work on Friday!” – suggests a friend, and now you are ordering a cake along with her: you cannot offend her! “Come and visit me on Saturday night!” – ask the neighbors, and you skip the service instead of apologizing and rescheduling the meeting for a later time or Sunday. “Eat a piece of chicken or I’ll be offended!” – openly fusses a relative, and here one can hide behind the excuse of reverence for the elders, except it will be cunning: the reluctance to confront somebody is not always connected with love to one’s neighbor. 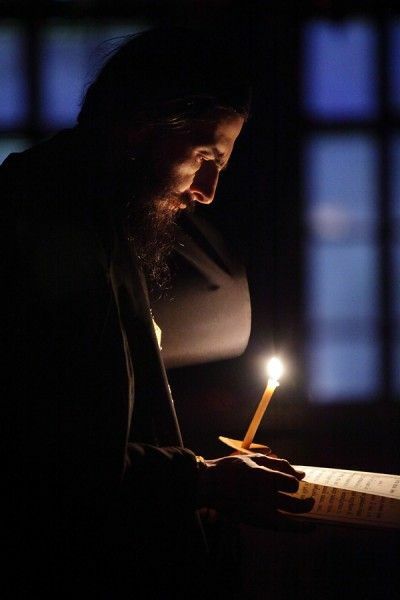 To free oneself from the sin of flattering, one can recall the advice given by St. Paisios the Athonite: we should conceal our personal fasts so as not to fast for show, yet the church-wide fast is the standing in faith. We should not only strive to respect our neighbors, but also strive so that our faith was respected, too. In most cases, people understand polite explanations and come to appreciate it. It is even more common when it turns out that our intricate explanations are far-fetched. A friend will not be confused by your empty espresso cup in a café, the neighbors will be happy to meet after the service, and a relative will gladly treat a fasting guest to potatoes with mushrooms. Finally, the most important rule of Great Lent is to remember what this period is for. Finally, together with the myrrh-bearers we will come to the opened Grave and will feel joy again and again: He is not here. Christ is Risen!